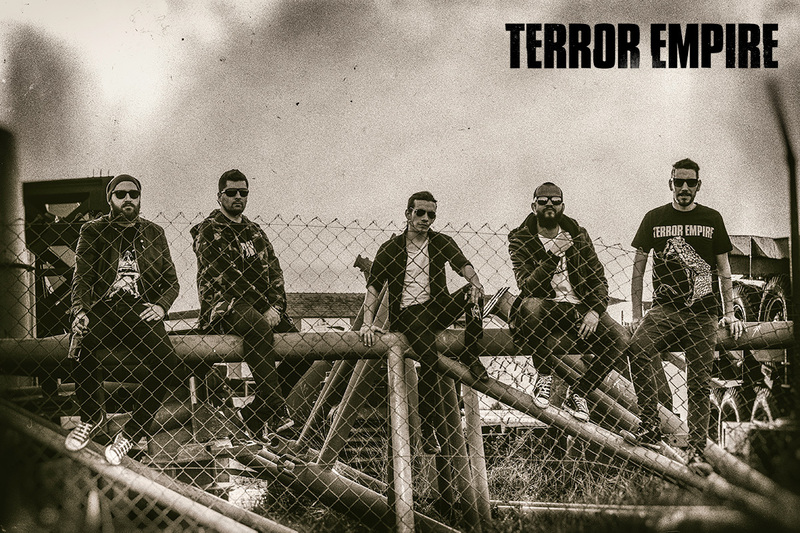 Terror Empire is a thrash metal band from Coimbra, Portugal, founded in 2009. Signed with Nordavind Records since 2014, the band recently released the new album, “The Empire Strikes Black” in february 2015, maintaining the critical tone regarding what the bands considers to be wrong within the society. The album features the classic thrash beat with death metal influences and a corrosive vocal approach. The videoclip for the single “The Route of the Damned” was recently released, presenting footage of live gigs and displaying some of the madness that it is to tour the underground circuit with a metal band. “The Empire Strikes Black” is currently distributed worldwide and promoted with live concerts in Portugal and Spain. The band is already writing the follow-up to this album, planning an early-2017 release.